To be honest with all of you Deadshot is the first and only DC Universe figure I own, and I’m very happy with everything about this Figure! From the artwork on the inside of the card to the articulation in the top of his legs that I didn’t even know existed! The packaging is very good as a whole. 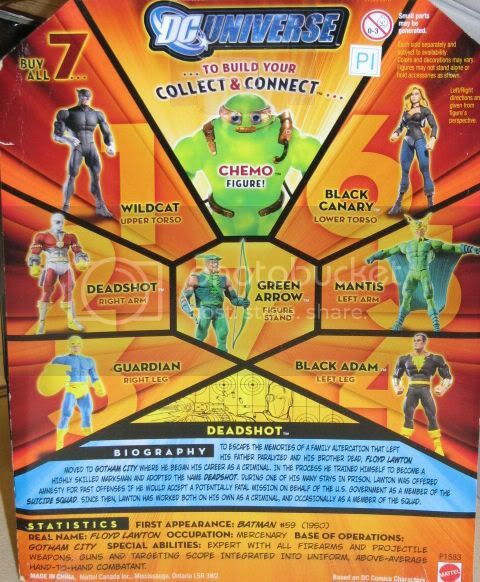 It has the normal nice clear bubble on the front of the package so you can clearly view all aspects of this figure. On the front bottom of the card it has a small description of the figure. It has his name, what wave he is in, what figure in the wave he is and a nice little drawing of him. Now the back of his card is everything you could want in a card. It has pictures of all of the other figures in the line and a short biography of the figure, which I super love! Getting the figure out of his enclosure was simple. No silly twisty ties or any other crazy magical item holding the figure in by some unearthly force of nature in which you have to use a tank and a chain saw to open! You all know what I’m talking about, we have all been there! Now the detail on this figure is simply amazing. 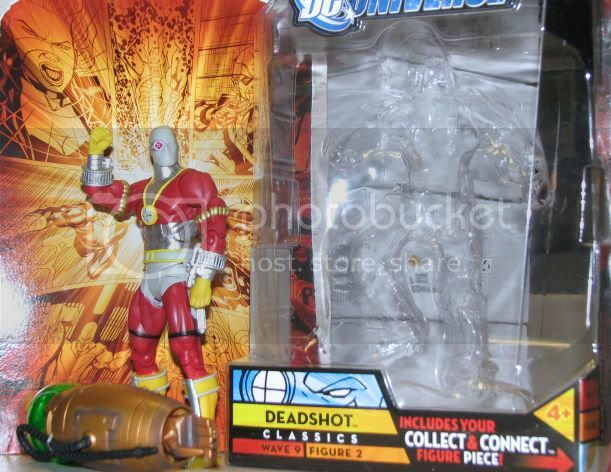 Deadshot stays very true to all the pictures I seen of him while doing research for the review. Even the his eye has the cross hairs in it. 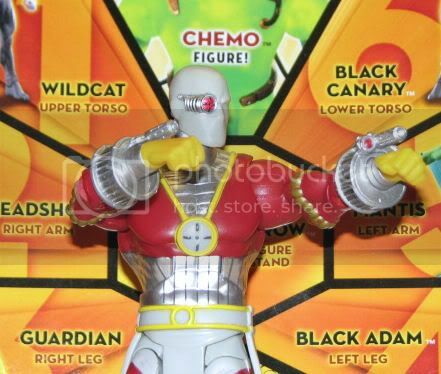 I guess you could say this figure is a real DEADSHOT from the image in the comic books. have come very close to buying a few of them but just couldn’t bring myself to do so. 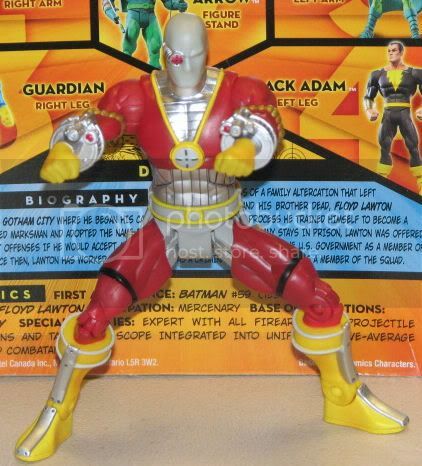 And now the good, from the great articulation to the very awesome package Deadshot is an amazing figure! Now for my favorite part of the figure, I had no idea who Deadshot was until I got this figure. I know a ton of DC characters and have never even heard of or remember seeing a picture of the character. 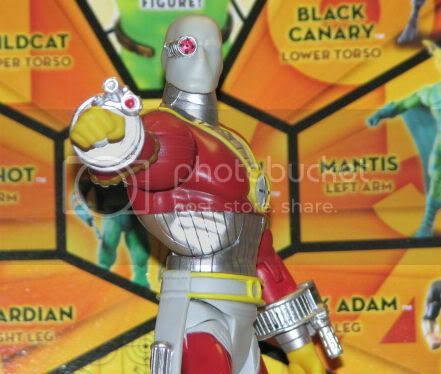 I am excited Mattel is making characters that may not be very well known. Now, I'm not saying he is a nobody, I’m just saying he isn't that well known. I am sick of seeing 45 different Batman’s and 50 different Superman’s. 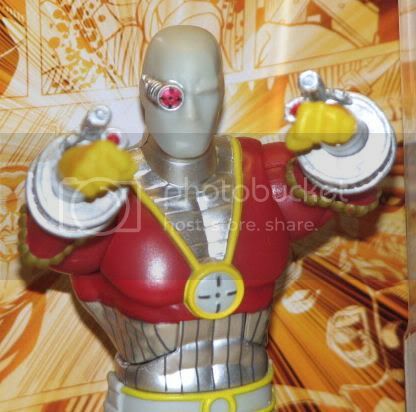 So kudos to Mattel on doing such a great job on Deadshot and the DC Universe Classics line in general!